With these particular wood bats, they did not live up to Rawlings' high standards so they label them as Custom Professional Overstock and sell them at a fraction of the cost. Keep in mind that these Rawlings bats are structurally sound and have no cosmetic blemishes. The only downside is that the barrel and handle diameter are not guaranteed to be a specific size. But, you are guaranteed a cupped end to help improve the overall balance and ensure a hard, high-quality piece of wood during construction. 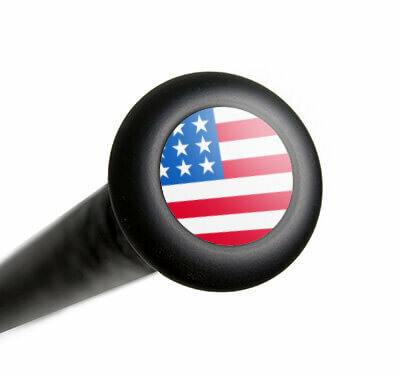 With Major League quality wood, these baseball bats are a perfect option for both batting practice or cage hitting. If you have experience hitting with wood, these professional overstock models are just what you need. Rawlings: The Mark Of A Pro! This Rawlings Professional Matte Ash Wood Baseball Bat (PROANM253) features an approximate drop 3 length to weight ratio, a balanced swing weight, and an extremely flared knob for a unique feel. 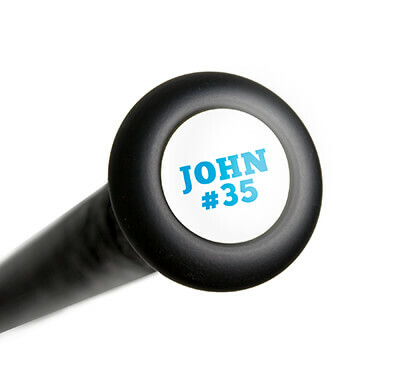 On the end of the knob, you'll see a date which is when your particular bat was handcrafted with pride. Swing what the pros are swinging and get one of these Rawlings wood bats today with free shipping. Don't forget, we're here for you from click to hit! Pros: Quick shipping, zero shipping fees and GREAT products.! Have a question about the Rawlings Professional Matte Ash Wood Baseball Bat: PROANM253? Ask our team of experts and they will respond within 24 hours. Would this work for a 16 year old boy in wooden bat league? The Rawlings Professional Matte Ash Wood Baseball Bat: PROANM253 features an approximate -3 length to weight ratio and thus would be a good option for a 16 year old player in a wood bat league. I was wondering if I can order this bat in a 32" * 31" this bat only shows 33.5? At the time of this posting, we only have the 33.5" option of the Rawlings Professional Matte Ash Wood Baseball Bat: PROANM253 available. We do not anticipate any more options becoming available.